Whilst the weather last week was lovely and Spring-like, we couldn’t go and collect it on a nice, dry and bright Saturday as I was moving house. 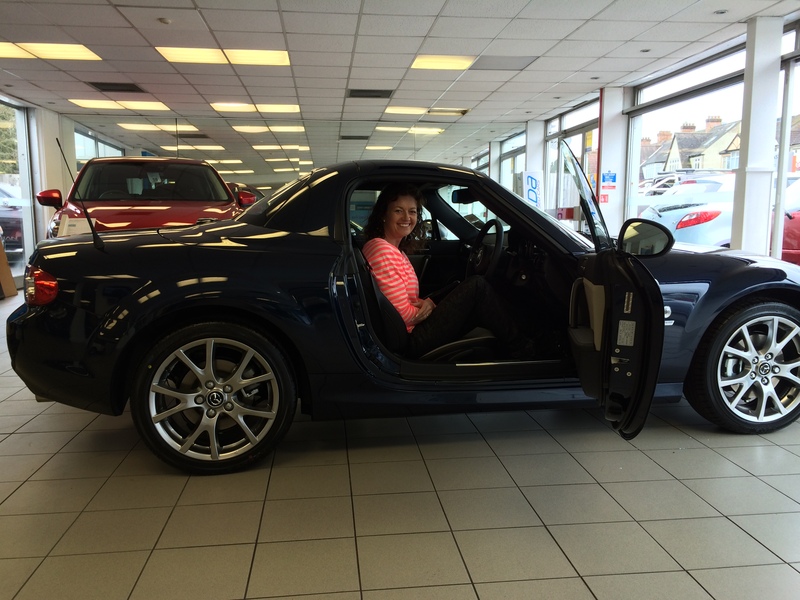 No, we went to pick up the MX-5 on the Sunday, my birthday, as it happens. But it was a little soggy when we woke up and grabbed a bus, the London Overground and a train to get to Eden Park and walk down to the dealers, Masters. As we walked into the showroom, there it was – it’s a ‘she’ apparently… – sitting there in the showroom looking lovely. 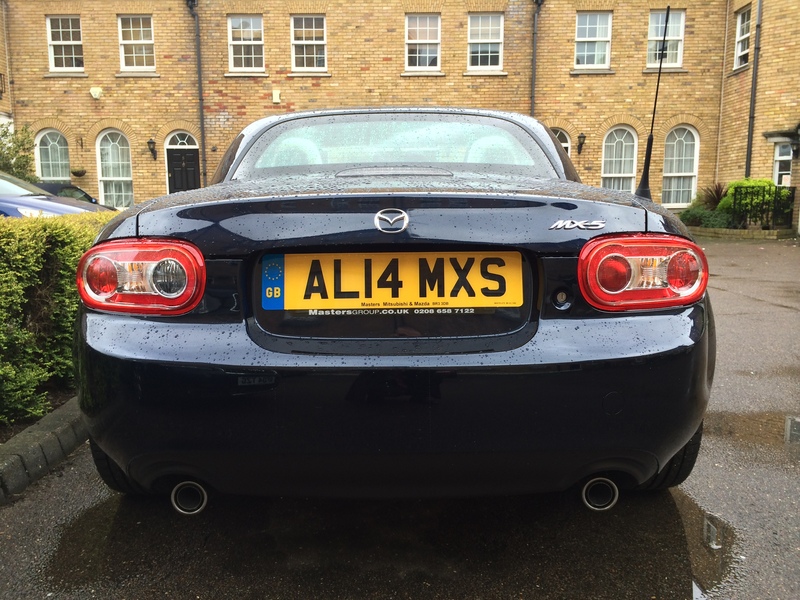 We did the paperwork, handed over some more cash and off I drove into the traffic: Ali isn’t used to London driving yet, so I got to drive the new MX-5 home. Sadly, it wasn’t dry enough to put the hood down: instead, we got to try out the exceptional 5-point heated leather seats which were very efficient indeed! I plugged the house address into the built-in satnav and off we drove. A lovely car it is to drive too! Once home, we put the hood down and set to work pairing our iPhones with it: the MX-5 has a feature where it stores multiple user profiles so my phonebook and phone are set for one user and Ali’s for another. But rain stopped play with our intended photoshoot which will have to wait until we’re back from our holiday.